Over the last 15 years Hydrosphere has supplied a diverse range of data buoy platforms for a variety of applications. Early examples were designed and manufactured by Hydrosphere but since 2002 all our buoys have been designed with Mobilis using their well-proven navigation buoys as the base platform. Many of the buoys have been developed to suit the bespoke requirements of our customers. Hydrosphere was awarded a three-year contract to design and supply deep-ocean moored buoys to replace the old K Series ODAS buoys currently installed at Marine Automatic Weather Stations extending from the Bay of Biscay to the North West of Scotland. The buoys are moored in water depths varying from 400 metres in the Western Approaches to 4,500 metres in open ocean sites. Weather conditions, which the buoys have to endure can be extreme. Buoys on these sites have recorded significant wave heights of over 20 metres. The buoys’ 3m diameter hull is constructed from multiple-section polyethylene floats that are bolted around a central steel structure, with through-hull access for underwater instrumentation and cabling. The large marine grade aluminium towers of the DB 8000 allow their large equipment payloads to be placed in a protected location. In addition, the meteorological sensors and antennae are mounted within a strong protection ring whilst still allowing exposure to the elements that they are installed to measure. The Met Office has funded a meteorological/oceanographic data buoy installed as part of the Western Channel Observatory. 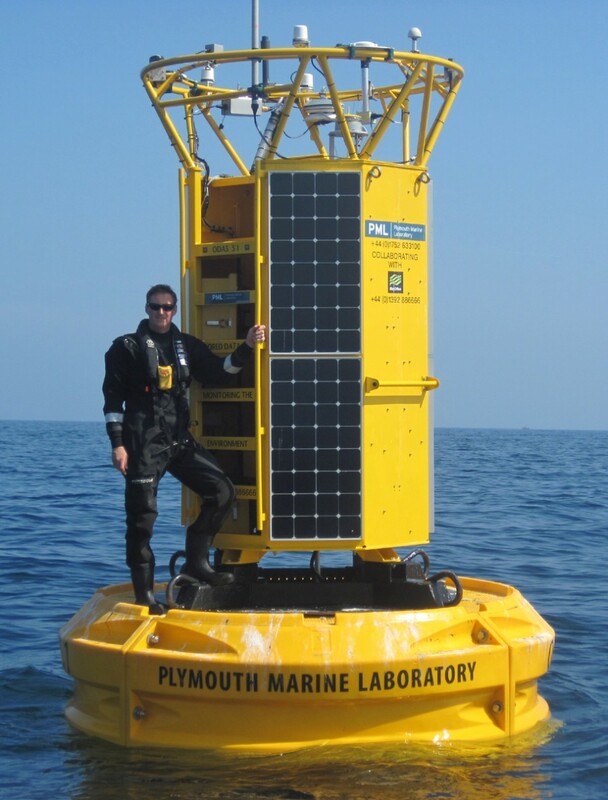 The buoy is site designated at E1 and operated and maintained by Plymouth Marine Laboratories (PML). Using the same 3m diameter platform as described in the above example, the Western Channel Observatory buoy was configured with a larger diameter tower. This allowed more equipment to be installed and enables technicians to access underwater instrumentation from inside the tower. Underwater instrumentation packages are contained within an instrument cage, which is lowered down from the tower to a secure position within the underwater part of the steel central structure. The E1 buoy has similar meteorological sensors to the Met Office data buoys as well as an oceanographic sensor suite to measure sea temperature, salinity, depth, dissolved oxygen, chlorophyll ‘A’, turbidity, dissolved organic matter, and nitrates. As with the standard DB 8000 ODAS buoys, data is transmitted ashore using an Iridium satellite communication system. The Mobilis Environment Observable Littoral buoy was designed to measure the impact of human activity in coastal waters. The buoy’s purpose is to support, protect and power a number of sensors that measure water conductivity, temperature, depth, pH, dissolved oxygen, chlorophyll A, and turbidity. The instrument package is automatically lowered from the buoy to the sea bed and back at preset intervals with data gathered during the lowering and raising operations. All data is transmitted to shore as well as being logged in the onboard data acquisition/telemetry unit. When the instrument package is in its raised position, it is stored within a unique electro-chloration chamber, which automatically cleans the sensors of any biofouling. The large tower allows technicians to undertake checks and routine maintenance of the sensors and data acquisition system within the safe confines of the tower. It also provides suitable mounting for a large solar array, which recharges a battery bank, which in turn provides power for this instrument package data acquisition and telemetry system and, most importantly, the winch. A multi-point mooring system is deployed to avoid entanglement of the instrumentation being lowered beneath the buoy. 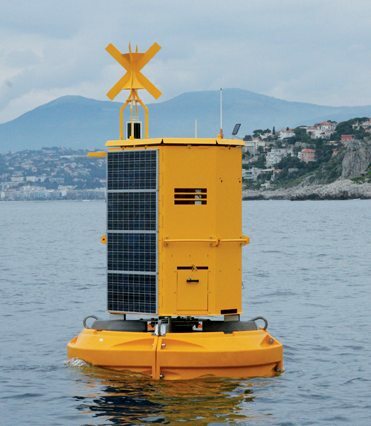 Based on the Mobilis DB 2000 data buoy model, the SMRU PAMBuoy is fitted with 4x55W solar panels and 2x100Amperehour batteries, as well as the SMRU kit which includes an acoustic hydrophone, data acquisition and telemetry unit. The custom PAMBuoy data acquisition card detects high frequency cetacean clicks (such as harbour porpoise and vaquita) on four channels simultaneously. This data is fed into the applications processor, which carries out the digital signal processing (DSP) allowing multiple detection modules to run concurrently. Data is transmitted back to a central hub (SMRU Ltd) through an appropriate wireless or cabled communications medium including 3G, Iridium, PTMP Wireless, Fibre Optic, and Ethernet. Data can also be stored onboard the unit and so can enable the holding of extra debug information, long-term recording for data audit as well as a buffer for any communication loss. 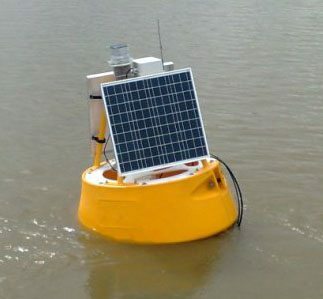 This buoy uses a Mobilis data buoy platform onto which OSIL have fitted their own specialist equipment to provide a versatile instrumentation platform ideally suited for collection and measurement of oceanographic, meteorological and water quality data parameters for inshore coastal areas, harbours and estuaries. 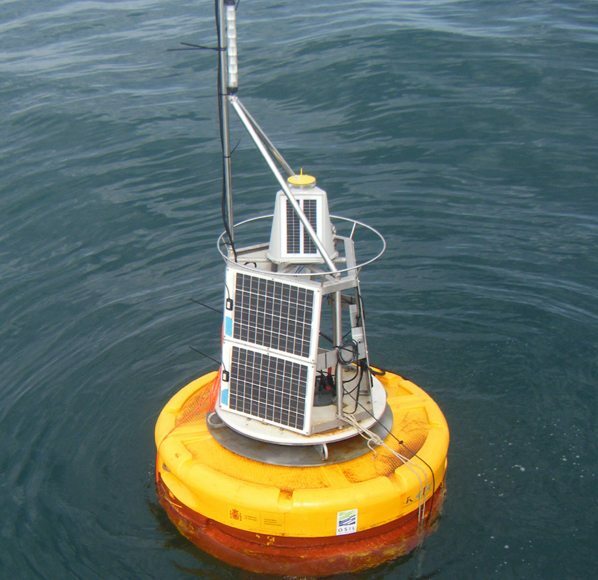 Instrumentation can be deployed anywhere from near surface to the seabed, and the Shearwater Buoys can be used as permanent or temporary platform. The buoys can be moored in a fixed position with single point, dual point or compliant mooring (where required). The system is supplied with a range of sensors that can specified by the customer. All buoys are fitted with solar panels, navigation/warning lights and other markings as necessary. A range of telemetry options are available (UHF/VHF, GSM, GPRS, Satellite), selected to suit both the location and application requirements. 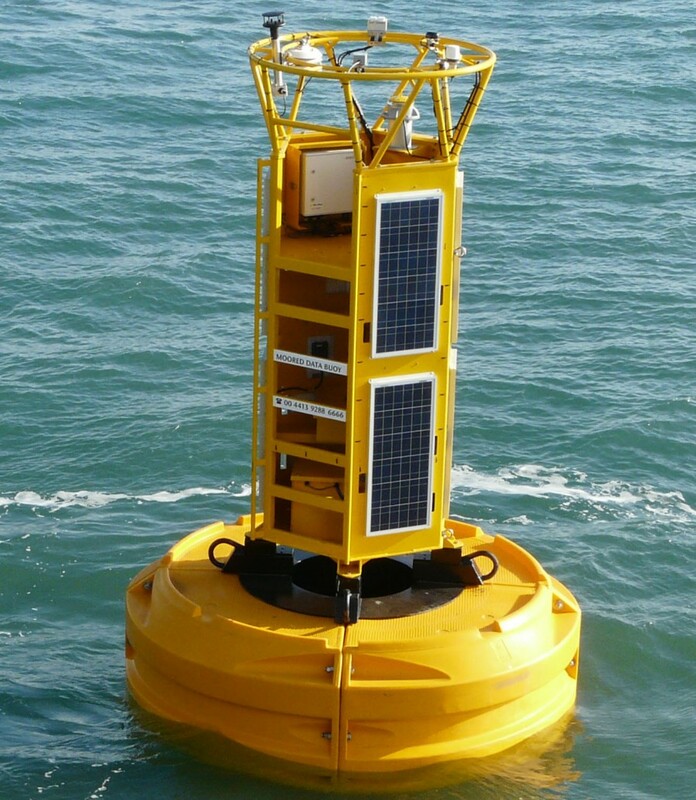 The TMBB-20 is a data buoy platform using the Mobilis DB 500 model, which has been fitted with Techworks equipment to create a bespoke instrumentation platform. It is designed for data acquisition, telemetry and remote platform control on coastal, bay and lake applications. The TMBB-20 supports a wide range of sensors and instrumentation including wave sensors, current sensors, meteorological stations, water quality sensors and water sampling carousels. It can be connected to external AIS offering the possibility of broadcasting VDL messages. Data can be transmitted in real-time to a base-station hosted either on the users’ network or on the TechWorks Marine Data Centre web-portal. Users are able to view, analyse and download data from this site and communicate with the TMBB-20 to change sampling intervals, telemetry options or conduct diagnostics. Images and information courtesy of Techworks, PML, PamBuoy, Mobilis, and OSIL. 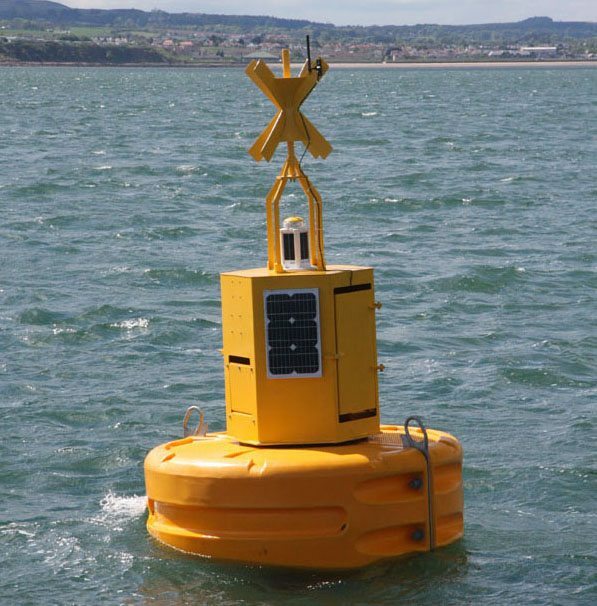 For more information on Hydrosphere’s full range of standard data buoy models take a look at the data buoy platform product page.